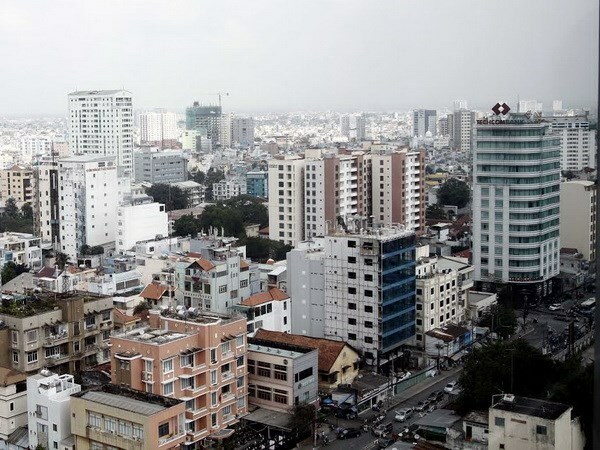 HCM City (VNA) - HCM City must have better zoning plans if it wants to develop into one of Southeast Asia's economic, financial, commercial, and technological hubs, Minister of Construction Trinh Dinh Dung has said. Speaking at a seminar on "Zoning and Architectural Management of HCM City" on November 6, he said the city should mobilise investments from all sources for developing infrastructure to cope with the urban problems it has been facing. It should revamp by building modern satellite towns and developing housing programmes, especially for poor residents, he added. Le Hoang Quan, Chairman of the city People's Committee, said while playing the role of an industrial, economic, cultural, and educational hub, the city has held on to its cultural characteristics. It has made great efforts to become a green and sustainable city in accordance with national zoning plans, he said. The administration has also taken measures to deal with traffic congestion and flooding and stepped up efforts to protect the environment and reorganise urban living. Nguyen Dang Son, Deputy Head of the Institute for Urban Research and Infrastructure Development, said HCM City should be developed as a multi-centre city to reduce traffic congestion. They could be Saigon, Cho Lon, Thu Thiem, and Phu My Hung and the four regional centres of Saigon Hi-tech Park in District 9 in the eastern section, the Hiep Phuoc Urban Area in District 9 in the south, the Northwestern Cu Chi Urban Area in Cu Chi district in the north-west; and the Tan Tao – Tan Kien Urban Area in Binh Chanh in the south-west, he said. Dr Ngo Viet Nam Son, President of NgoViet Architects & Planners, said the city should develop multi-functional centres vertically or horizontally within walking distance of public transport stations to create a sustainable living environment that serves people's entertainment, working and other daily needs.